Being a smart shopper will save you time and money, especially for dog owners. Pets are expensive, and they require a lot of supplies including food, grooming products, dog treats and medications and supplements. Finding the best Costco deals on dog products will help you get the best bang for your buck. Buying in bulk is a great way to get the things you need for a few dollars less. It may not sound like much, but saving a little bit on each item will add up to thousands of dollars in savings every year. Buying in bulk will allow you to have all the supplies that you need and keep the extra in storage so you won't have to worry about running out. One thing you'll need to keep in mind when buying in bulk is that you'll need extra room to store the additional products you won't be using right away. If you've got a spare closet or room in your attic or basement, that would be perfect! You also have to remember that some products, like dog treats, dog food and some medications and supplements are perishable. If they go bad before you use them, that will be a huge waste of money. Did you know that most bulk stores (like Sam's Club, BJ's and Costco) charge a membership fee? If you'l be shopping there often, chances are you'll save the amount you spend on a membership fee within the first couple of months. Just be sure it will be worth it, and if there is more than one bulk shopping store in your area you'll want to compare the prices and membership fees of each store to be sure you're getting the best deal. Costco is a fantastic place to pick up great bulk deals on everything your dog may need – everything from dog food to flea-prevention. They even do pet meds! 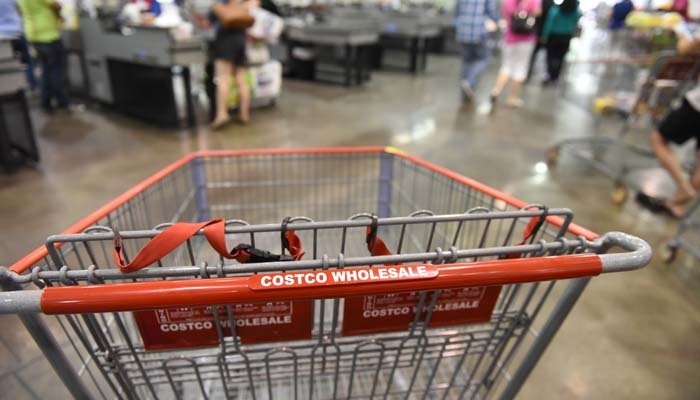 Here are our top recommendations for the best bargains for your best buddy at Costco. Kirkland Signature Nature's Domain Salmon Meal & Sweet Potato Dry Dog Food is made from salmon and ocean fish meal and provides your dog with quality protein and omega-3 fatty acids. The formula is completely grain free and also contains a natural prebiotic in the form of dried chicory root to keep your dog’s digestive system healthy. This food comes in a 35 pound bag so it will last a long time if you have one dog. You can always buy multiple bags to last even longer if you have multiple dogs. One bag costs $44.99 and may be even lower priced at your local Costco warehouse. If your pooch prefers poultry, go for Kirkland Signature Nature's Domain USDA Organic Chicken & Pea Formula Dry Dog Food. It is made from lean healthy organic chicken with added organic peas, lentils, garbanzo beans and sweet potatoes. This food is completely grain free and the vegetables provide carbohydrates and fiber. This kibble also has added omega fatty acids for healthy skin and a shiny coat. It costs $49.99 for a 30 pound bag. A good wholesale option for puppies is the Nature's Domain Puppy Chicken & Pea Formula. This is another brand under Kirkland Signature, and it is made to the same standards as their other pet food brands. With chicken as its primary ingredient it is high in protein to meet the needs of growing pups. This puppy food has added DHA to promote brain and eye development, and omegas 3 and 6 fatty acids for healthy skin and a glossy coat. The formula is completely grain free and contains added antioxidants, vitamin E, selenium and probiotic fiber derived from dried chicory root to promote a healthy digestive system. Nature’s Domain Puppy Chicken and Pea Formula comes in a 20lb bag for $26.99, making it less than $1.40 per pound. If you're looking for the best Costco deals on dog products, you can't ignore Doggy Dollars All Natural Premium Beef Dog Treats. They are made in the USA with human grade ingredients. The only ingredients are beef, brown sugar, salt, rice flour, natural smoke and rosemary extract. 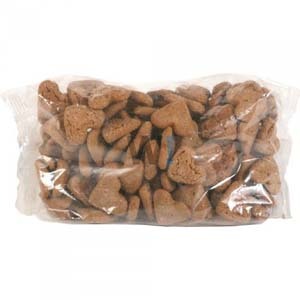 Doggy Dollars are $39.99 for four pounds, or approximately 300 treats. Pampered Pets Roasted Turkey & Sweet Potato Feast Dog Treats are made in the USA and made with human grade ingredients. They are wheat, corn and soy free and only 20 calories per treat. These treats cost $42.99 for 10 pounds. Pampered Pets USA Low-fat Peanut Butter Dog Cookies are crunchy treats made in the USA with natural, human grade ingredients. They are wheat, corn and soy free, low in fat and only 19 calories per treat. They cost $29.99 for eight pounds, making them a very affordable treat option for pet parents on a budget. If you’re looking for a grain free option for your dog, Costco sells Nature's Domain Grain-Free Wild Boar Jerky Treats. These treats have wild boar as the primary ingredient so they are high in protein and help your dog feel satisfied for longer. These high protein treats are $36.99 for 4.5 pounds. Cadet Gourmet Chicken Breast Treats for Dogs are another of the best Costco deals on dog products. They are made from real chicken breast so they are high in protein and low in fat and they don’t contain any artificial colors, flavors or fillers. They are $29.99 for 2.5 pounds. Kirkland Signature Grain Free, Gluten Free Dental Chews have two sides, with a groove and lots of bumps and ridges to help physically clean your dog’s teeth by reducing the buildup of plaque and tartar. The chews also have an easy grip holder on one end for paws to keep the treat in place! Costco sell these dental chews for $32.99, making them less than 46 cents each. The weight is 4.2lbs, so these retail for $8 per pound. Checkups Dental Dog Treats are clinically proven to reduce plaque and tartar and freshen doggy breath. They are certified by the Veterinary Oral Health Council and don’t contain any wheat, corn or soy and are gluten free. They are sold by Costco for $34.99 for 48 treats, and the recommended daily feeding amount is one to two treats per day, so this amount would last six weeks for smaller dogs. Dogs with health issues, those at risk of hereditary health problems, and ageing dogs may benefit from additional vitamins and minerals. Costco offer supplements that help treat and prevent health problems. Cosequin Soft Chews Mobility Supplement contains glucosamine hydrochloride, sodium chondroitin sulfate and methysulfonymethane to keep your dog’s joints and connective tissue healthy. A pack containing 180 chewable tablets is $59.99 including shipping. Pet Origins Hip & Joint Level 3 Chewable Tablets contain glucosamine, chondroitin, methysulfonymethane and hyaluronic acid as well as trace elements to contribute for joint health. A pack of 600 chewables is only $64.99. Pet Origins’ Salmon Oil is an Omega 3 supplement that costs $42.99 for 56oz, which works out to $0.77 per ounce. A few pumps of this oil over kibble or wet food helps maintain your dog’s skin and coat and the salmon oil comes from wild Alaska salmon. The Pet Origins Senior Chewable Multivitamins contain an array of vitamins, minerals and antioxidants specifically formulated for ageing dogs. Costco sell these at $27.99 for 600 chewable tablets, making them less than five cents each. Costco offers some great deals on flea and tick treatments so it’s always worth stocking up. A three month pack of Frontline Plus for Dogs & Puppies up to 22 lbs. costs $35.49 including shipping and handling. Compare that to $51.59 on the Pets 360 website, and $43.75 at Walmart and you can see the huge savings! Rimadyl, an NSAID that treats pain and inflammation caused by arthritis and other joint problems. Vetmedin, a medication for management of canine congestive heart failure. Soloxine, a treatment for hypothyroidism. Temaril-P, an antihistamine that relieves itching and a cough suppressant for treatment of respiratory issues such as kennel cough. Clavamox, a broad spectrum antibiotic. Vetoryl, for the treatment of hyperadrenocorticism (canine Cushing’s disease). Metacam, pain relief for dogs with osteoarthritis. Atopica, a medication for treating atopic dermatitis and allergies. Truprofen, an NSAID prescribed to manage arthritis pain and inflammation and post-operative pain. Heartgard Plus, a chewable tablets that treats and protects against roundworms and hookworms. You can buy a 6-count package of 17 oz. bottles of ECOS Earth Friendly Products Pet Shampoo at Costco. This is definitely one of the best Costco deals on dog products and it will help keep your buddy’s coat healthy and shiny. This eco-friendly shampoo is formulated with natural flea-repellent properties from peppermint essential oil. This gentle cleanser uses renewable, earth-friendly ingredients and natural plant-derived extracts and is PH balanced for your dog’s skin. ECOS Pet Shampoo is $29.99 including shipping and handling for 6 bottles, a total of 102oz of dog shampoo. Another one of the best Costco deals on dog products is the TrueBlue Natural Essentials Dog Bath Set. This handy set includes two bottles of conditioning shampoo and a 12oz bottle of the company's Fresh-in-a-Flash spray. TrueBlue’s products are detergent-free, easy to rinse out of fur, PH balanced and made in the USA. The Natural Balance Conditioning Shampoo is a 2-in-1 shampoo and conditioner so it’s perfect for pooches who hate bath time! The Fresh-in-a-Flash Cleansing Spray contains grapefruit and chamomile and keeps fur smelling great even between baths. The TrueBlue set is $36.99 for 44oz of total product. Next articleCan Owning a Pet Protect You From Heart Disease? Even though I’ve worked in an independent pet store for over 8 years, I don’t find it offensive that you would recommend a big mass store for pet parents to shop at. With the economy and the ever increasing cost to own dogs, a dollar saved is a rare thing and should be taken advantage of when appropriate. What I find offensive, and borderline dangerous, is the broad recommendation of any SPECIFIC dog food. 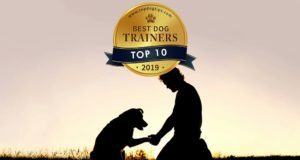 There are many factors that pet parents should consider when evaluating their pet’s food, and the lowest cost and how long it lasts should not be in the top 5. Buying dog food can directly effect the health and ultimately the lifespan of someone’s pet- and while you could have said to check Costco for their current brand of food, recommending a specific food that may not work with a dog is lazy and reckless. For pet parents out there- certainly buy your treats in the big mass stores, but stop into your local, independent store to discuss the PROPER nutrition that your dog requires for his/her overall health. With that said- this is still a very valuable source of information for pet parents out there. I would be cautious going forward recommending food for dogs that you know nothing about though.